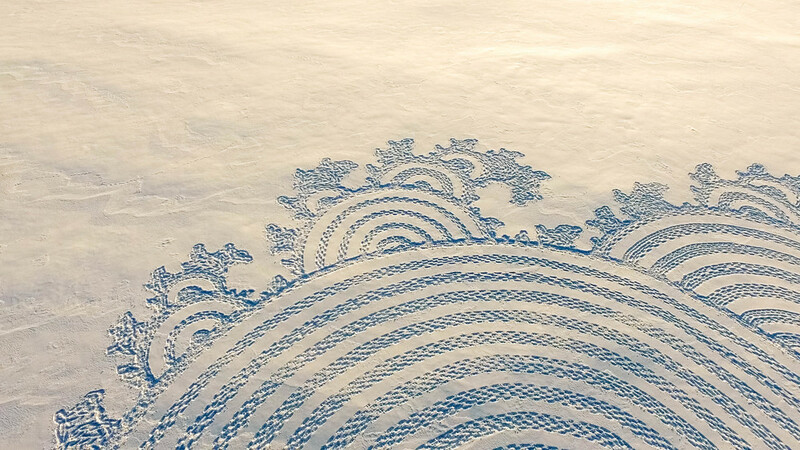 The journey to complete a half-mile wide snow mandala begins with one step and pockets stuffed with bananas and chocolate chip cookies. 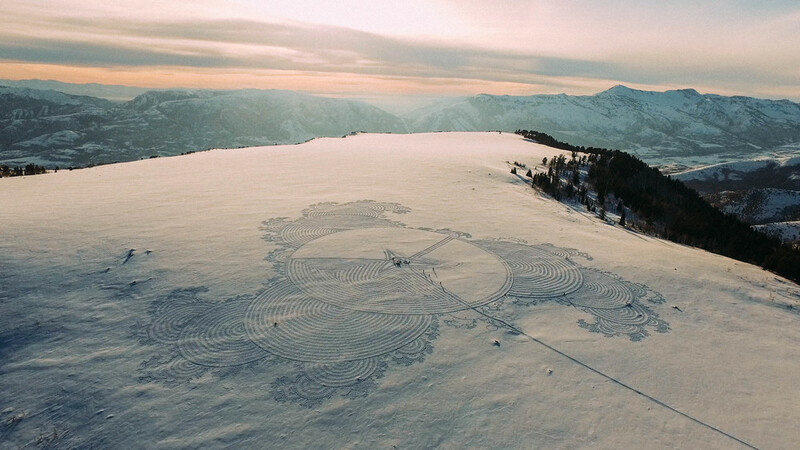 This past month, in the high-altitude snowfields of Powder Mountain, the world-renowned snowshoe artist Simon Beck demonstrated just how far the limits of human creativity can be taken with the consumption of several boxes of snacks and multiple ephemeral masterpieces. 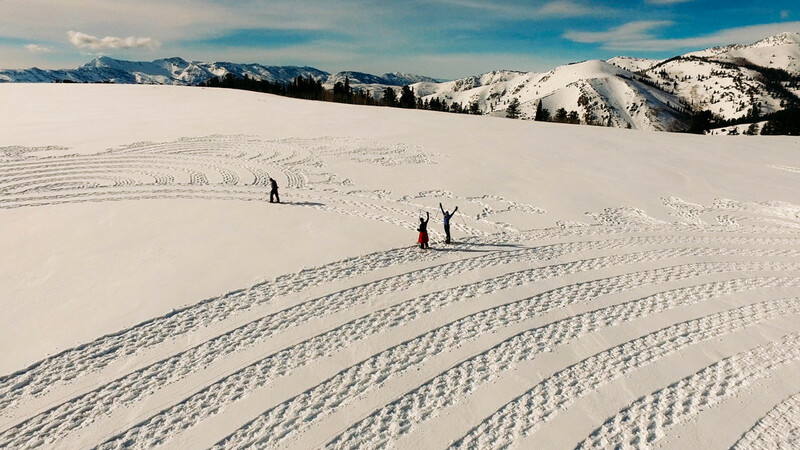 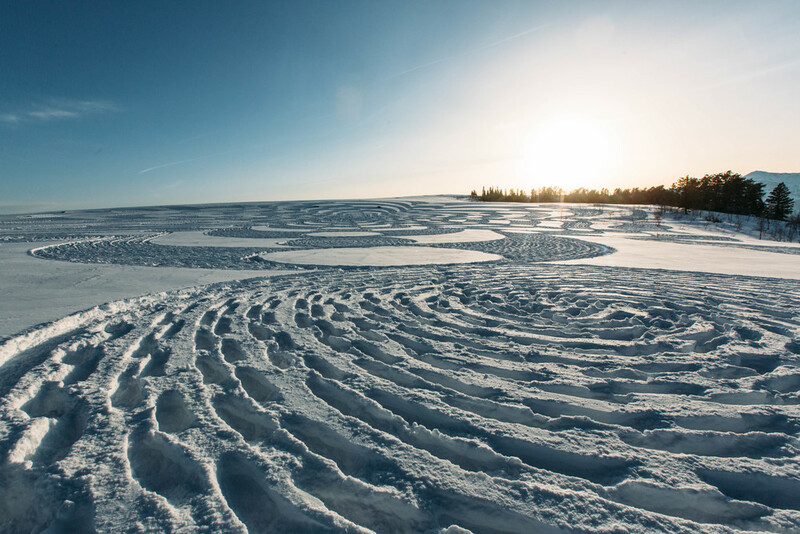 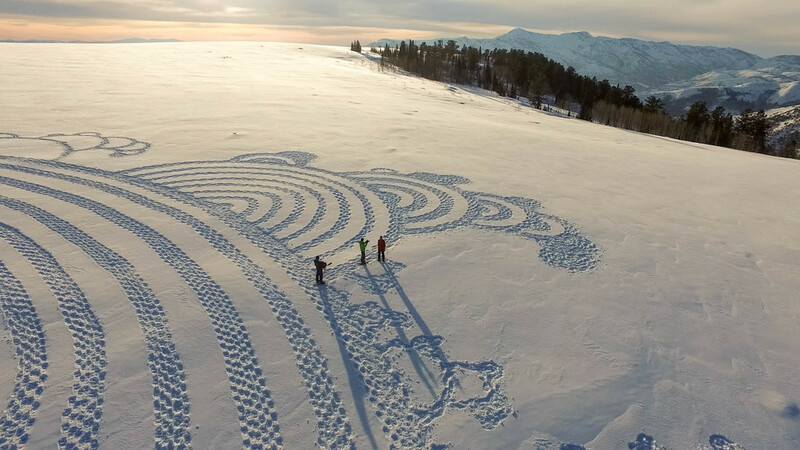 Equipped with nothing but snowshoes, waterproof gear and a compass, Simon took to the fields of the mighty Wasatch mountain range and traversed well over the equivalent of a marathon to ‘draw’ his large-scale ephemeral snow art.